Nyasaland's curse was always transport: it didn't get a rail link to the sea until the line to Beira opened in 1935. 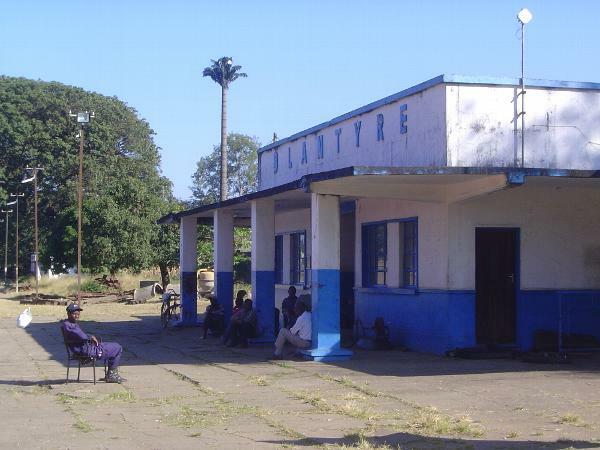 That line opened in stages, however, and when rails first reached Blantyre in 1908 they ran south only 113 miles before stopping at Port Herald (now Nsanje) at the southern tip of Nyasaland. From there, for a time and as they had done for decades before, goods and people went by boat down the Shire to Chindio and from its mouth there down the Zambesi to the sea. This station is presumably the second on the site. The communications tower masquerading behind it as a palm tree is a popular device in southern Africa today.